The modern history of golf goes back to the 15th century Scotland, with King James II banning the sport, and afterwards James IV removing the ban and becoming a golfer himself. Today, it’s one of world’s most loved, enjoyed and watched sports, with tournaments taking place between teams, and small personal matches of skill between individuals too. Many residential complexes boast of golf courses as part of their enterprise. 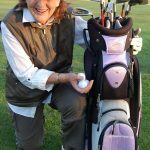 If you’re a golfer and wish to develop your skills, a golf lover wishing to dig out facts and learn playing, or a simple passerby curious to know about it, here’s your blog with all relevant information. One entertaining video is given here.